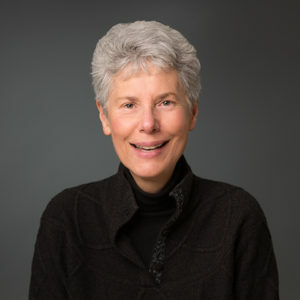 Mary Ellen Kenreich, Head of Acquisitions at Portland State University Library, is retiring after 25 years of service. Professor Kenreich worked at several libraries across country. One of her first jobs was at Tennessee Technological University, where she began working with purchasing and processing periodicals. Her career began during a time of fundamental change in libraries. Libraries were moving from card catalogs to online catalogs, and computers were automating repetitive tasks that had previously been done by hand. Kenreich’s early career was built around continually improving library purchasing and processing, something she was ready to continue doing when she began at PSU. After she joined PSU Library in 1992, Professor Kenreich led efforts to streamline behind-the-scenes work done by library staff. She also made practical improvements such as consolidating vendors, as well as moving the barcodes so that the books are easier for library staff to check out to patrons. Additionally, she helped guide PSU Library during the transition to make more electronic resources available for patrons. With her improvements, the library moved from purchasing books, journals and electronic resources when they were needed, rather than ‘just in case.’ In addition to spending money more wisely, these changes ultimately make it easier for students, faculty and staff at PSU to find the items they need. Professor Kenreich is looking forward to enjoying her retirement. Her plans include traveling, birding, gardening, cooking, volunteering, and of course, reading.